Dog bites can cause not only serious physical injuries, but also leave lasting psychological effects that haunt the victim for years. It is estimated that there are about 4.5 million dog bite victims each year. In 2014, 42 dog bite related fatalities occurred nationwide, with 7 of those taking place in Texas. The dog owner must be identified- For example, if the dog is loose, the owner must come forward to claim their animal. The party at fault must be identified- This is not always the same person as the dog owner. In some cases, someone besides the owner may have opened the gate or let the dog off of the leash without the owner’s knowledge. The owner must have money or an insurance policy that will pay for the damages- In most cases, the dog owner will have a homeowners insurance policy that will pay for the damages. However, if the dog owner is renting the home, they may not have an insurance policy that will cover the damages inflicted by the dog attack. 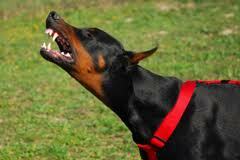 In many areas, there are ordinances or codes addressing dog attacks and regulating leash laws. The leash laws often require that a dog be restrained or kept in a certain manner. While there may be codes and ordinances in place, people do not always abide by the rules. It is important to look into the regulations in your area and determine whether the dog owner breached any of these codes or ordinances. If you are able to prove that the owner breached a code or ordinance, this can sometimes help in negotiations with an uncooperative insurance company. First and foremost, seek medical attention. Make sure to keep any records pertaining to the attack. These can include animal control records, medical bills, and police reports. Take pictures of any injuries sustained during the attack, and if possible the location of the attack. Finally, contact an experienced attorney at Powers Taylor. They will be able to help you determine what parties are at fault and the best course of action for your case. If you or someone you love has been seriously injured in a dog bite attack contact Powers Taylor today. Our attorneys have experience in all types of personal injury cases and will fight to get you the compensation you deserve. Contact us today for a free consultation. All calls are confidential.